Elfin House is a unique fairy world, where each piece gives the feeling of nostalgia, sentimentality and romance of bygone century. The style of the hand made knitwear is elegant, feminine and chic, being practical and wearable, with vintage details – glass and ceramic beads, crochet lace or silk flowers. No matter, if you dress up these handmade knit bits with a flirty silk skirt or look casually cool with your favorite jeans, you’ll make a big statement. 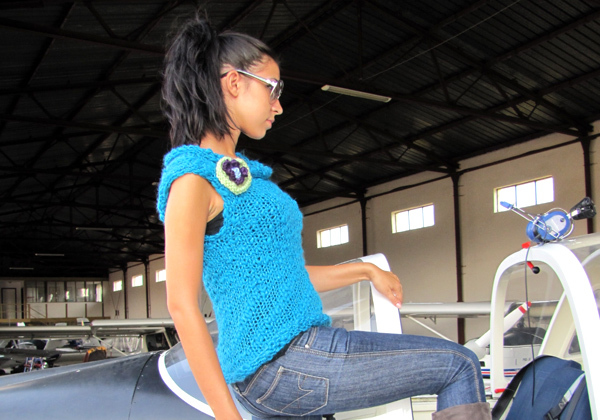 Every collection features hand knitted or hand finished and crocheted clothing and accessories, including sweaters, cardigans, tops, dresses, skirts, ponchos, shawls, scarves, hats, bags and tiny “jewels”. Knitwear pieces are one of a kind or in limited quantities, because everybody likes the feeling of owning something that no one else does.